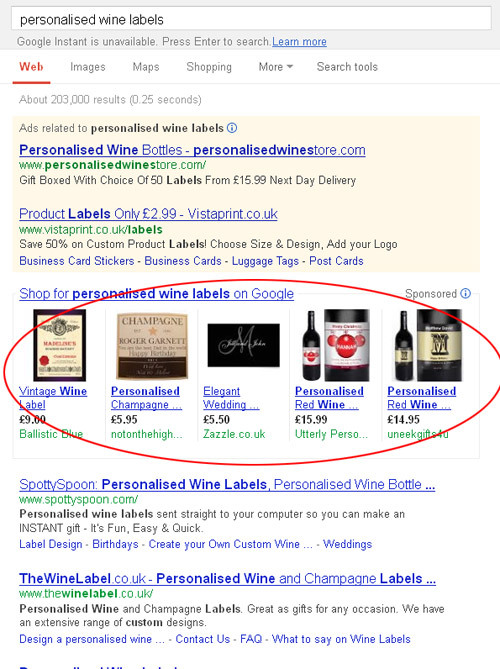 Is eBay dominating your Google Shopping Ads? Below are two screenshots showing a comparison of last year compared to this year. This year for Shopping Ads it’s almost all eBay. In this market eBay is aggressively bidding on all the shopping ads and those businesses that are just running Google Adwords without an eBay strategy are getting significantly less traffic than last year. What is noticeable having looked at the products on eBay, and the ones that are showing up in the Ads, is that they are much cheaper to buy (particularly as a single item, though if you buy multiple labels they may not be), and certainly of poorer quality. With eBay swamping some Shopping Ads if you’re not selling through eBay, then it might be time to reconsider. I’ve noticed this too in a number of niches. Google Shopping definitely takes price into account when deciding which products to show more prominently (probably because of the increased CTR when people think they are getting a bargain). 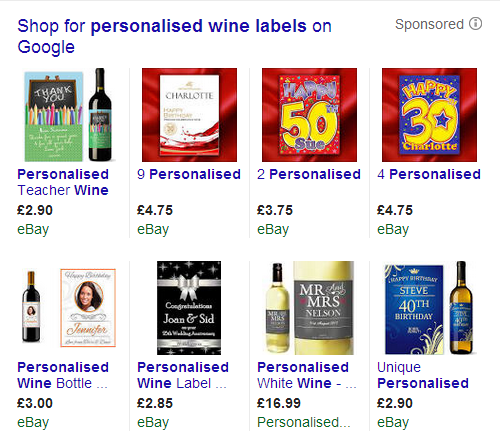 It’s worth experimenting with your own prices and bids in your Google Shopping campaign, but I think it will be very hard to compete against eBay in some niches, and it certainly makes a mockery of the study brought out by eBay not so long ago saying that paid search was not worth bothering with! Jordan, I think this is an issue that Google need to sort. Why bother bidding on Google Adwords in this case, if eBay are going to bid and dominate with much cheaper and inferior products that are too hard to compete against on price.